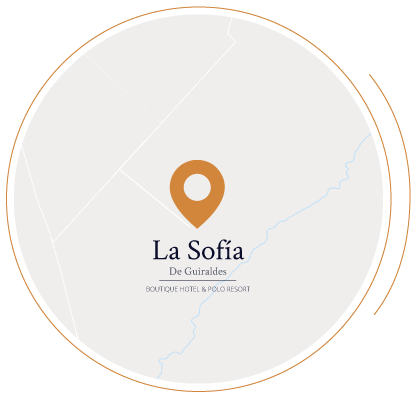 La Sofía, a place to spend your vacation, relax and play polo or take a ride on horseback. Located in the middle of the Argentine countryside, but only 100 km (60 miles) from Buenos Aires, La Sofía is an oasis of calm. It was created by its owners, who, together with their staff, take excellent care of the facilities and their guests. La Sofía is a colonial-style ranch with six spacious, comfortable and welcoming en-suite rooms that invite our guests to relax. The trademark of our boutique hotel is our passionate attention to detail and outstanding customer service.